The Agilium Patella can help to relieve pain in case of retropatellar osteoarthritis, the term used to describe wear and tear to the back surface of the kneecap. With its combination of a fabric body, stabilising elements and dynamic realignment technology (a spring mechanism which ensures correct tracking of the kneecap), the Agilium Patella centres the kneecap with precision. Excessive strain is no longer placed on the joint cartilage, and pressure behind the kneecap is demonstrably reduced. 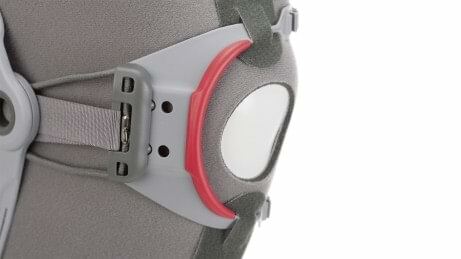 The brace can be pulled over the knee easily using the handy loops of the interior donning sheath. 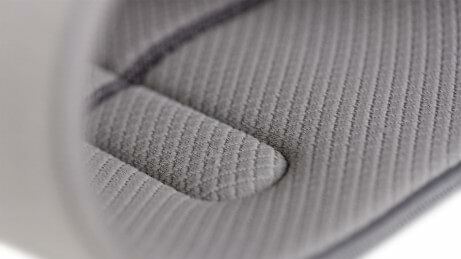 Inside, the breathable material is roughened on one side and smooth on the other. This keeps the brace from slipping up or down. The comfortable padding on the patella support (red) offers a high level of wearer comfort even for users with a sensitive patella. The physician or O&P professional adjusts the brace to the user's individual needs with practical hook-and-loop and ratchet closures. Thanks to the spring mechanism of the dynamic realignment feature, tracking is only ever as strong as the patella requires. It ensures that the patella is guided during flexion and extension, without increasing the pressure when the knee is flexed more strongly. 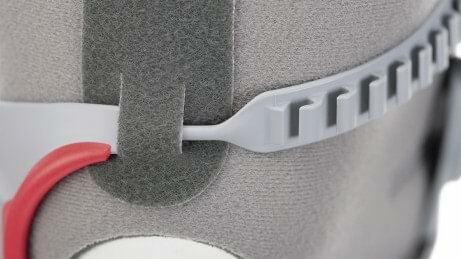 To put on or take off the brace, simply guide the closure into the holes provided and click in place. Three width settings are available. Your physician or O&P professional will choose the individual one that’s right for you. The Agilium Patella can reduce pain, enabling you to master day to day life with ease. Everyday movements such as climbing stairs are once again possible. 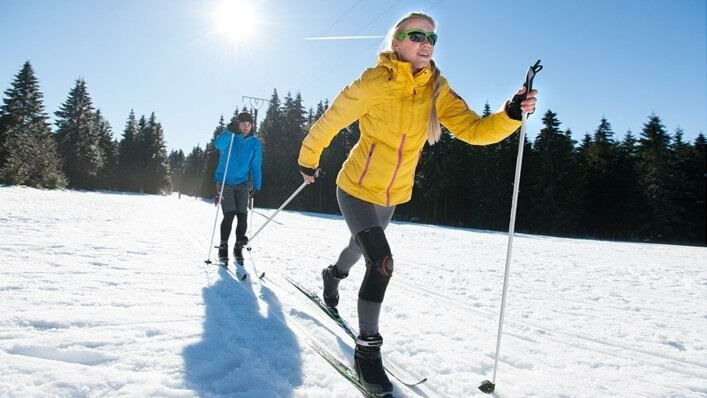 With the Agilium Patella, you can enjoy skiing, cycling and hiking. Thanks to the spring mechanism of the brace, the patella is tracked to the correct extent every time the knee is flexed or extended. 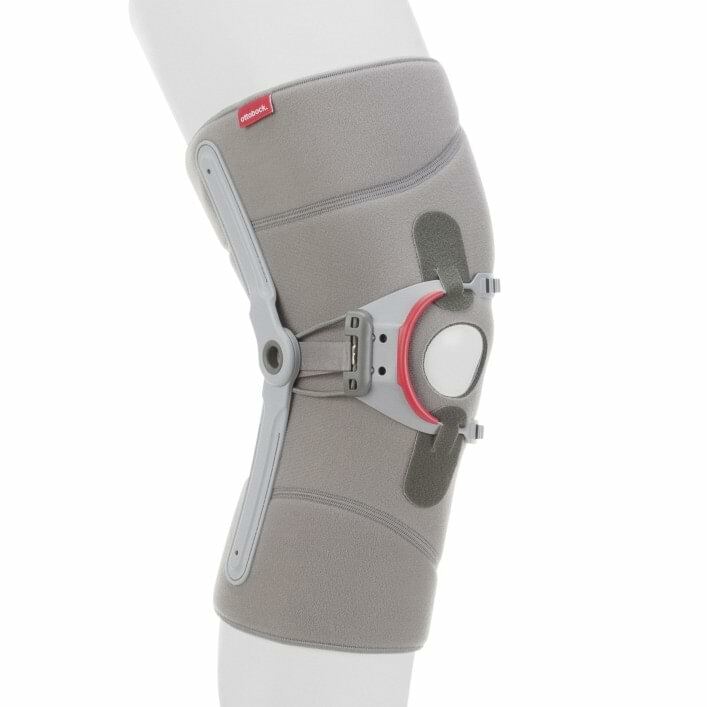 The Agilium Patella is very lightweight and can be worn discreetly under everyday clothing thanks to its slim design. This makes it barely noticeable. 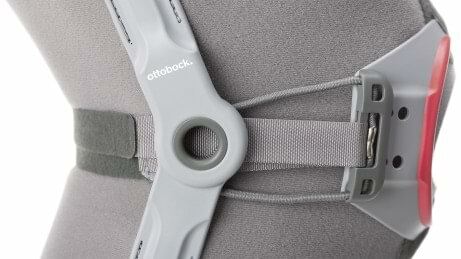 Handy quick-release closures and loops make it easier for you to put on and take off the brace. The breathable materials make it pleasant to wear and are also designed to ensure the brace sits firmly in place and does not slip when you move. 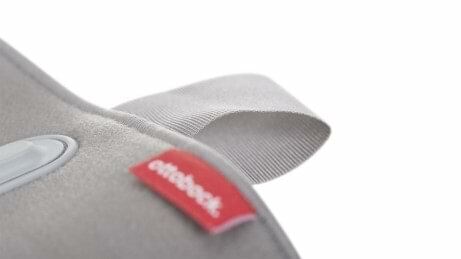 The extra padding on the patella support ensures that the brace fits comfortably over sensitive patellas. 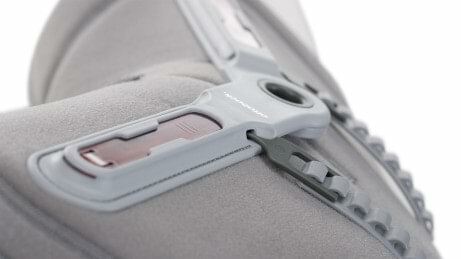 The brace can be individually adjusted to suit your needs using the three width settings. The patient guide provides information on osteoarthritis, including causes and symptoms. It also includes exercises that you can easily do at home.